Each week, Iris and her guests empower, encourage, affirm, acknowledge and remind us of who we really are, providing tools and processes to fulfill our destiny victoriously and joyously. “Miracles Happen! 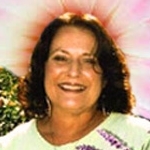 Dreams Do Come True” is under the guidance and direction of our beloved I AM presence, the Seven Mighty Elohim, the Ascended Masters, and the Legions of Light, and is given with fervent and heartfelt wishes that all of your dreams come true and are 1000 times more wonderful that you ever dreamed possible!